John Aylward, a composer with a doctorate from Brandeis University, has done fellowships at the MacDowell Colony and the Virginia Center for the Creative Arts, among other institutions, and always appreciated the relaxed, immersive interaction such gatherings promoted. By contrast, when he looked at the contemporary-music scene he saw lots of activity, but precious little of the communal nourishment that informed his retreat experiences. Most encounters, even by superb contemporary-music ensembles, adhered instead to what he called “the three-rehearsals-and-a-performance model” in a recent phone conversation. 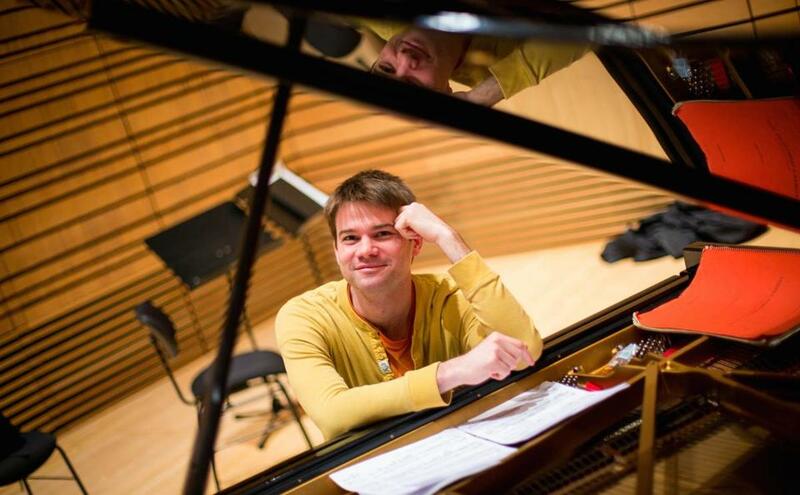 So when Aylward formed ECCE, the Boston- and New York-based ensemble of which he is executive director, in 2008, he wanted to distinguish it from other new music groups, even those he admired. “I thought it was important to have performance opportunities, but also to move beyond that and try to reconfigure what it meant to interact as a composer in your community,” he said from Peterborough, N.H., where he’d come into town from the MacDowell Colony, where he was once again a fellow. Now ECCE is working to extend that communal sense to the concert experience in its newest venture: a season-long residency at Le Laboratoire, the cutting-edge technology and design studio in Kendall Square. Aylward refers to the collaboration as an effort to “reimagine the salon,” the social gathering that was a locus for the dissemination of new music in the 19th century. By inviting audiences to not only listen to music, but to experience it in the sensorially rich context of the exhibits at “Le Lab” (as it’s known), Aylward is trying to recreate an intensely communal encounter for our own time. ECCE’s next happening is on Friday, when a four-member contingent will perform “December 1952,” a landmark in aleatoric (or indeterminate) music by the Lunenburg-born composer Earle Brown. The music will complement and play off of the current Le Lab exhibit: a virtual-reality flight simulator called Birdly, created by Swiss artist and software developer Max Rheiner. “December 1952” is a graphic score, a visually gorgeous assemblage inspired by the mobiles of Alexander Calder. Composing the piece was part of Brown’s quest to liberate musicians’ spontaneity — in this case, through their direct reactions to the lines and shapes on the page. Eschewing any preset plans, the musicians are simply to put the music on their stands and take off. The listening experience will occur on multiple levels. One musician will play in each of the gallery’s four corners, to maximize the music’s spatial impact and so that audience members can vary their aural perception of the music. A recording engineer will also create a live mix of the performance, which will be available through headphones, for a different perspective. And Rheiner’s exhibit, which reproduces the sensation of flight, adds yet another component. Aylward also loves the fact that a a piece inspired by visual art is being returned to a gallery space, yet in a wholly new way.